You see many Nigerian women rocking those lovely hairstyles to their various offices and even Nigerian ladies pulling off the gorgeous looks on campuses. 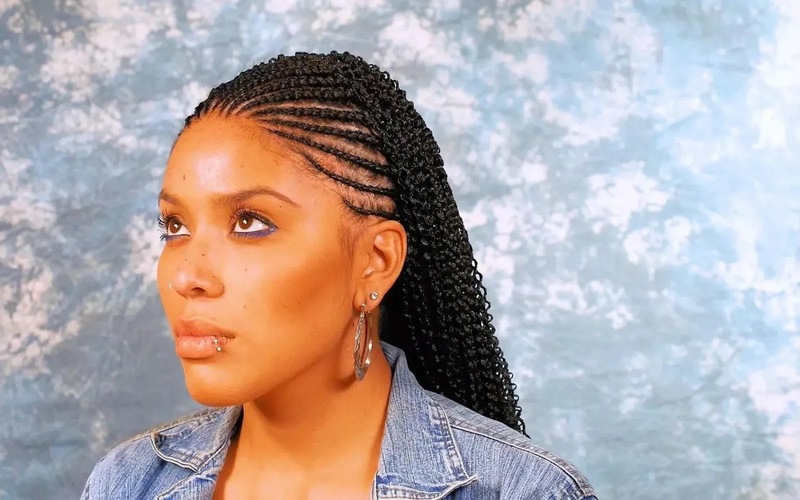 But what are some of the lovely styles of braids to try out for ladies? 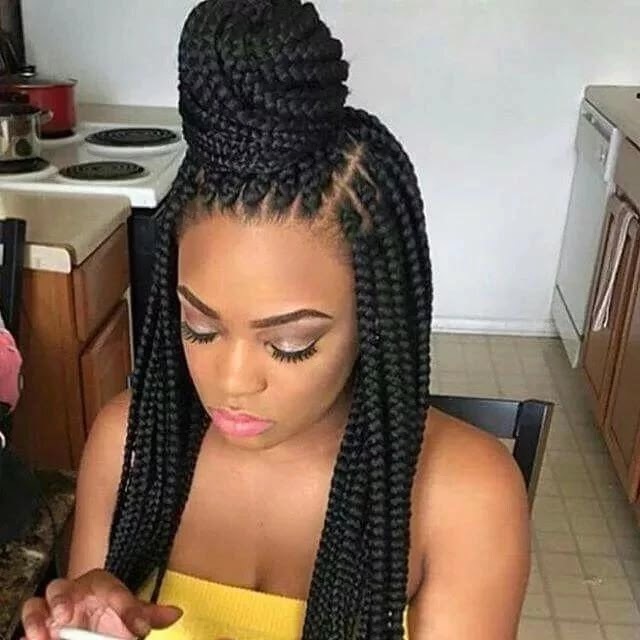 African hairstyles, especially, braids have always been wide-spread. It has gained popularity, not only among the modern fashionable young people but also among adults. As popularity was growing so fast, there appeared more options for hair braid styles. Let's look at some of the most popular types of African braids and marvel of the miracle hair. This hair style features a lot of small braids that are hand weaved, some times up to 250 braids. 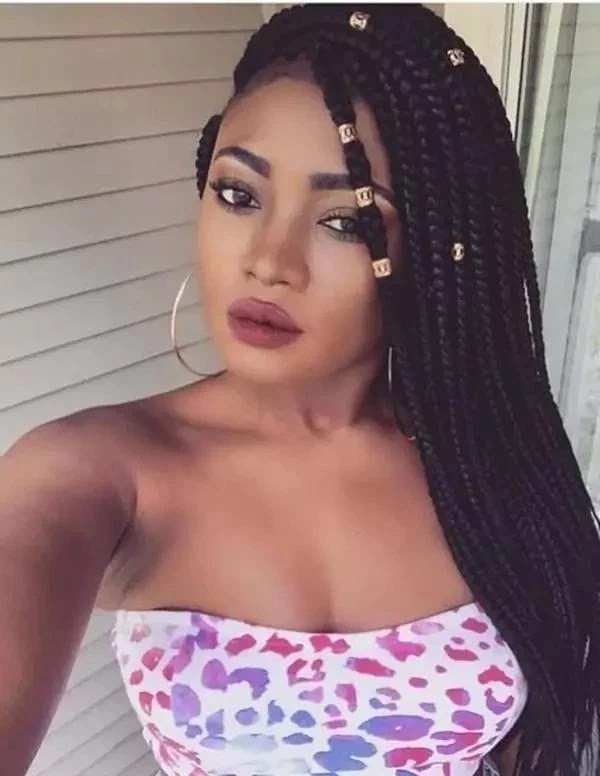 Thin braids often look really great and con be worn for a long period of time. 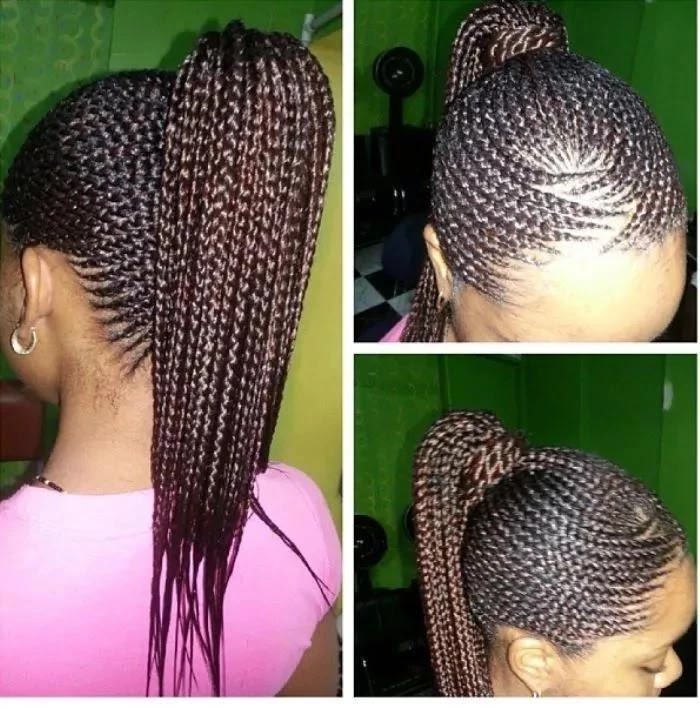 Nevertheless, the beauty of the said braids may also depend on the competence of the stylist. To style this style of braid may typically require you to spend a couple of hours with your stylist. Again, you can easily experiment with colors and length of hair with your braids. For someone with short hair, braids helps you to extend your hair at the snap of two fingers. You can also choose to go blonde or brunette. It's all gorgeous and the choice is literarily yours.. This style is not uncommon among Nigerian celebrities and other fashionistas alike. Zizi is a thin braid that can be up to 3mm wide and 85 com long, often combined with the natural hair of the wearer. There are a wide range of options for this style: You can either twist your hair and make it look spiral, curly or straighten it out. The choice is entirely yours, but you can look really gorgeous either way. This style can take up to 3 hours and 30 minutes to pull off, even for some of the greatest stylists, but you can be sure to look great in it most of the times. 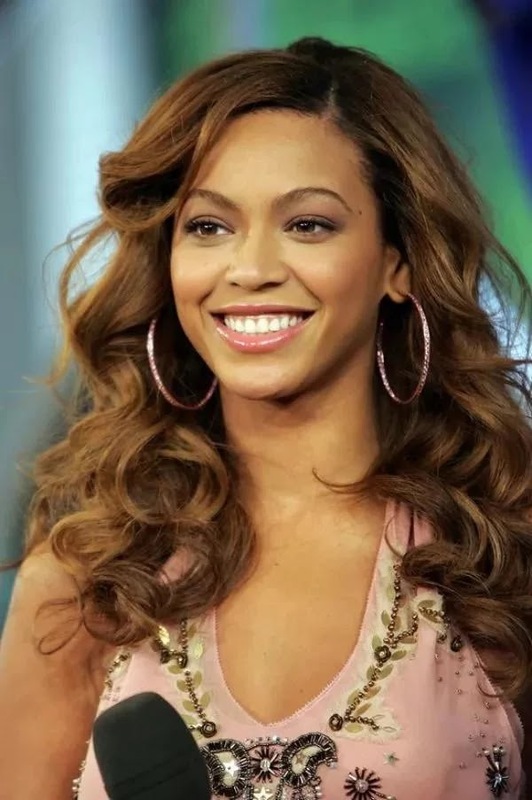 But then, your natural hair must extend to at least 25 centimeters long to have the most stunning looks that you crave for in a gorgeous hair style. Another great choice of the stunning ladies out there. Pony hair style is not only cool, it can transform the most homely girl to a lovely princess. The characteristic feature of this style is a small pig tail at the end of the braid. Ponytail braid however will take you nothing less than 7 hours to give you that awesomely stunning appeal. Also, to have the best result, your hair should be at least 25 centimeters long. This style is great for people with short hair. In fact, this is a style that ruled the trend a long long time ago. It's still in the trend. One great perk is that it can be pretty fast to pull off - even for the not so fast stylists out there. What more? You can were the lovely curls for more than 2 months. Corrugated Kanekalon of about 5-6 centimeters long are often fised into the hair for a period of 4 hours in order to come up with those lovely curls. This style of hair do also makes use of Kanekalon to come up with its lovely curls. 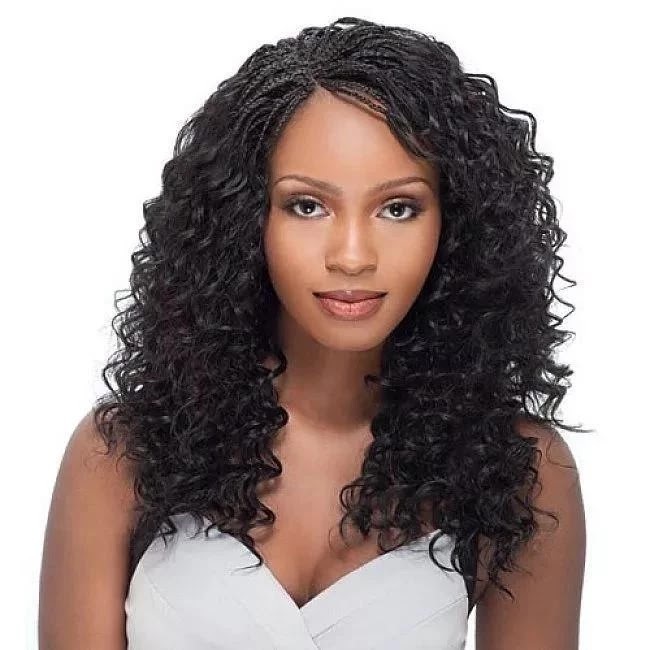 The braids can be up to 5-10 centimeters long with really voluminous curls. Though this hairdo can be really stunning to rock, but then your hair must be at least 12 cemtimers long in order to pull it off effectively. Another thing is that the hairstyle requires constant attention as you may need to lubricate the locks several times a day in the first week.